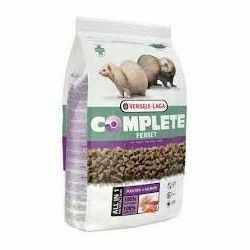 as carnivores that are, feeding ferrets should be rica in protein and animal fats, to do so, versele-laga has created Ferret Nature is a complete food adapted to the nutritional needs of ferrets. 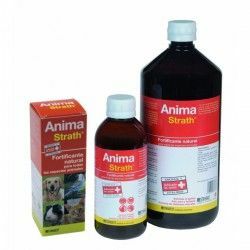 It is a mixture of premium of natural components contains all the nutrients, vitamins, minerals and amino acids that your pet needs to lead a healthy life and full of vitality. 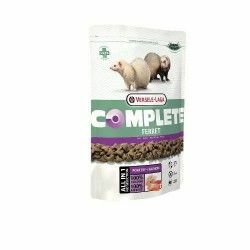 Ferret Nature contains animal proteins and fats of chicken, lamb and salmon, and is enriched with nutritional supplements to promote the health of your ferret: helps digestion, tooth care, shine in the hair and optimal health. Its great variety of ingredients guarantees a high appetite and ingestion. Mode of employment: According to the size, the breed and the age of the ferret, it is advisable to have a portion daily average of 50 to 80 g. Change daily both the water and the food. Composition: Meat and animal by-products, Cereale, by-Products of origin vegeta, Oils and fats, Yeast, Fish and by-products, fish, Eggs and egg products, Minerals, Fructo-oligosaccharides, and Extracts of yucca. Description: Ferret Nature is a complete food adapted to the nutritional needs of ferrets. Contains animal proteins and fats of chicken, lamb and salmon, and is enriched with nutritional supplements to promote the health of your animal. Versele-Laga Nature, Well-being and luxury for small mammals.